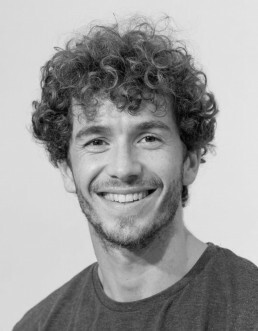 British born, William moore is a Principal with Ballett Zürich and trained at Lonon’s Royal Ballet School. He successfully participated in several competitions, his awards include coming fourth in the Young British Dancer of the year Competition in 2001 and first in the Phyllis Beddels Competition and in 2004 he won silver medals in both the Roseta Mauri Competition in Spain and the Adelainé Genée Competition in Athens. Before joining Ballett Zürich, William was a Principal with the Stuttgart Ballet where in 2012 he won Germany’s DER FAUST theatre prize for his interpretation of the role of Olivier Brusson in Das Fräulein von S by Christian Spuck and in 2012 he devised his own choreography together with Nicholas Jones Anonym for the Stuttgart Noverre Society. With Stuttgart Ballet, his repertoire includes the roles such as Armand Duval in La Dame aux Camélias (John Neemeier), Prince Siegfried in Swan Lake, Lensky in Onegin and Benvolio/Mercutio in Romeo and Juliet (John Cranko), Leonce in Leonce and Lena and Edwuard Schwarz in Lulu. Eine Monstretragödie (Christian Spuck) and the title role in Orlando (Marco Goecke) and with Ballett Zürich, Leonce in Leonce and Lena, the drum major in Woyzeck, Cappola in Der Sandmann, Wronski in Anna Karanina and created the role of Romeo in Romeo and Juliet (Christian Spuck). Additionally, throughout his career he has been involved in numerous creations and Principal and Soloist roles in works by Jiří Kylián, Wayne McGregor, Sol León/Paul Lightfoot, Hans Van Mahnen, Edward Clug, Jorma Elo, Douglas Lee and Demis Volpi.